Few things are as necessary on your next overnight hiking, camping, or backpacking trip than a portable stove. You won’t be able to have heat, cook meals, or warm up on a cold night without one. But, there are many out there to choose from; how do you pick just one? 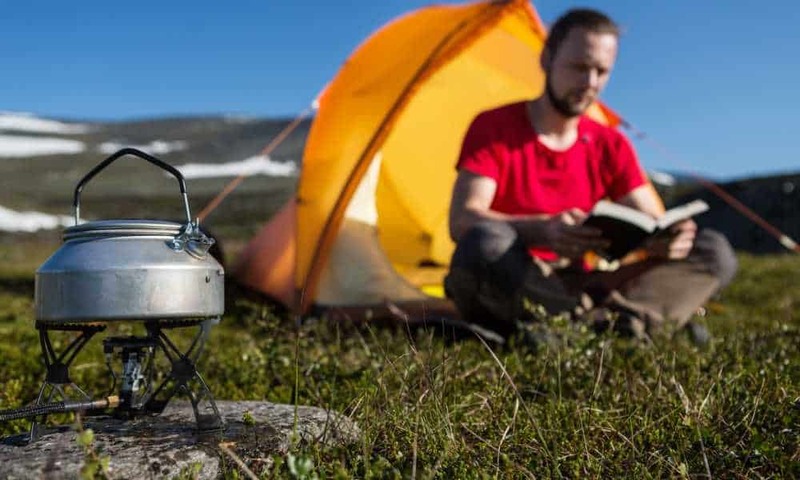 Read on to find the absolute best backpacking stoves of 2018. With space at a premium, you don’t want to be hungry on a cold night without your BRS-3000T Ultra-light Titanium Alloy Backpacking Stove. This little beauty is excellent for cooking out in the wilderness thanks to its small size and light weight. The BRS-3000T Ultra-light Backpacking Stove is made from durable and strong titanium alloy. It has a gas switch for the adjustable flame, a fire plate design, and three hinged arms with teeth that perfectly fit the bottom of a cooker. Underneath is a thread socket connector with an O ring (plus a backup O-ring) which you simply screw onto the fuel canister. Everything fits into the tiny bright green pouch it comes with. Something so small also has quite a bit of power. It generates 2700W and boils 1 liter of water in just 2 minutes 58 seconds. The flame is even and stable with its included control valve. It doesn’t come with the fuel canister, and it uses gas. In size, this measures 1.97”L x 1.18”W x 1.3”H and weighs just .9 oz or 21 grams. Due to how tiny and light weight this is, it wouldn’t be recommended for extended outdoor trips. 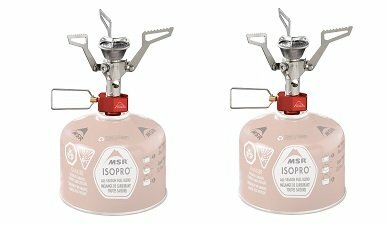 The MSR PocketRocket 2 Ultralight Backpacking Stove is well known among outdoor lovers, and with good reason. When you’ve been planning a long trip and taken the time off to do it, you want a reliable, warm stove that won’t quit. This MSR PocketRocket 2 canister stove is small enough for extreme portability, but it has a little more heft to it that makes it sturdier for long term backpacking trips. It’s made of stainless steel with brass fittings for durability and stability. It performs really well in higher elevations or windy conditions. 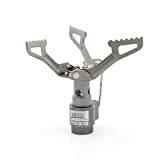 This has three foldable arms with teeth that stabilize your cooking pots, and it connects to high-performance isobutane-propane fuel canisters. The threads at the bottom of the stove are self-sealing. This is simple to use; attach the stove to the fuel, turn the adjustable key for the gas, and light it. It boils one liter of water in about 3.5 minutes. You get a lightweight protective case that prevents it from denting in your gear. In size, this measures 2”W x 2”D x 3”H when collapsed and 4.8”W x 4.8”D x 3.6”H when opened. It weighs 2.6 ounces and 4.2 ounces with the case. 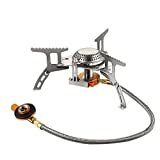 If you’ve struggled with unstable cookers or burning your hands while adjusting open flames, then choose this Terra Hiker 3500W Gas Backpacking Stove. It sits right on the ground or surface and connects to its fuel through a separate hose, so is a lot safer for anyone to use. The Terra Hiker 3500W Gas Backpacking Stove is a different design that works much better in outdoor settings. The three teeth arms are also the legs, and when you fold them out, they stabilize the entire stove. It’s a great function. You could put a full tea kettle on top and it won’t tip over. This stove is made from aluminum alloy and stainless steel. The hose has a gas valve on it that connects to your isobutane-propane or butane-propane fuel. Turn the knob at the end of the hose to turn on the gas, then press the Piezo ignition switch and light the stove. It boils 1 liter of water in just 2 minutes. You adjust the flame with the knob away from the stove, so no burning. It comes with a hard shell plastic protective case. In size, this measures 5.9” in diameter x 2.95”H and weighs 9.8 ounces. Experienced backpackers choose wood-burning stoves, and this Canway model is one of the most durable thanks to its stainless steel construction and collapsible design. It’ll last for months out in the field, using any natural fuel you can find. 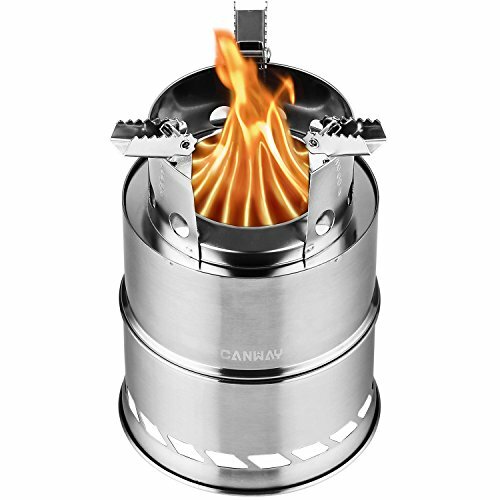 This Canway Wood Burning Backpacking Stove lightens your gear, since it doesn’t need external fuel. It collapses when you need to pack it away; set up is in a few simple steps. Simply tuck leaves and twigs or wood pellets or chips into the base, start a fire, and place the pan holder on top. It comes with three vertical pot support arms and a cylindrical stainless steel base for stability. The flame is thermally efficient and kept hidden from wind, with enough access to oxygen to keep it nice and warm. The fire burns continuously for 20 minutes. It comes with a mesh storage pouch to protect it and made from stainless steel to prevent denting or corrosion. This stove collapses down to just 3.38” high and 5.5” diameter. Compact & Lightweight: Lightweight and easily collapsible,package collapsible size is 5.5"x5.5"x 3.38", compact design makes outdoor stove easy to be packed in a small storage bag leaves more room in your backpack. 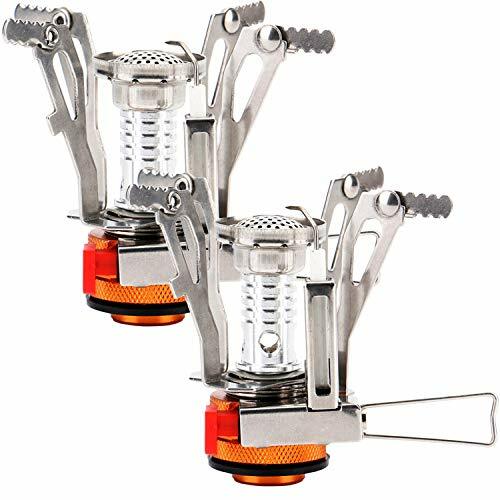 Sturdy Camping Stove: Made of high-quality stainless steel.This backpacking stove with 3 arms pot support base provides safe and stable cooking platform and distributes heat evenly. The style 2 is also suitable for 1-2 people use, but it is higher then style 1, so that it is easily get the firewood added without picking up the pot or pan. Environmentally Friendly: With no fuel canisters or alcohol needed, we'll be leaving no chemical emissions behind. The camp stove use branches, leaves, woods as fuel which is easy to get anywhere. High Thermal Efficiency: The secondary combustion keeps camping wood stove burning continued for 20mins with dry firewood and wood chips. What You Get: 1 x wood burning stove, 1 x storage bag, 1 x user manual, 2-YEAR PROTECTION FOR FREE from the date of its original purchase. 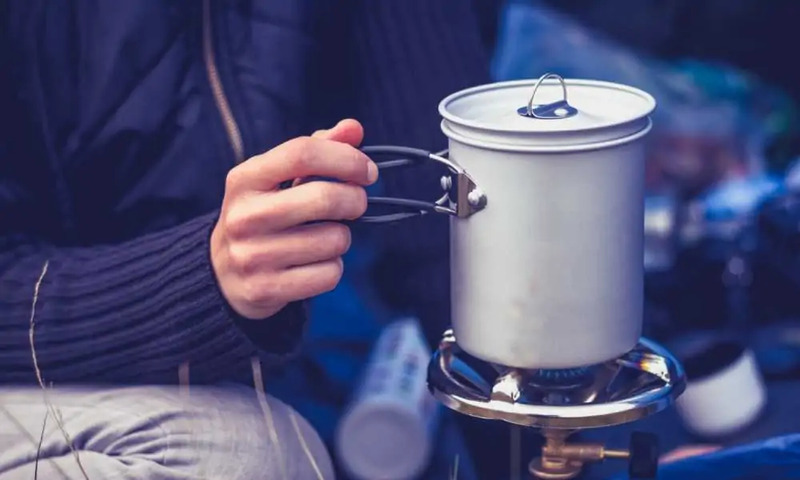 You want a stove that won’t let you down in the wind, rain, or any other type of wet weather, so you’ll want to choose this Reehut Ultralight Portable Backpacking Stove. 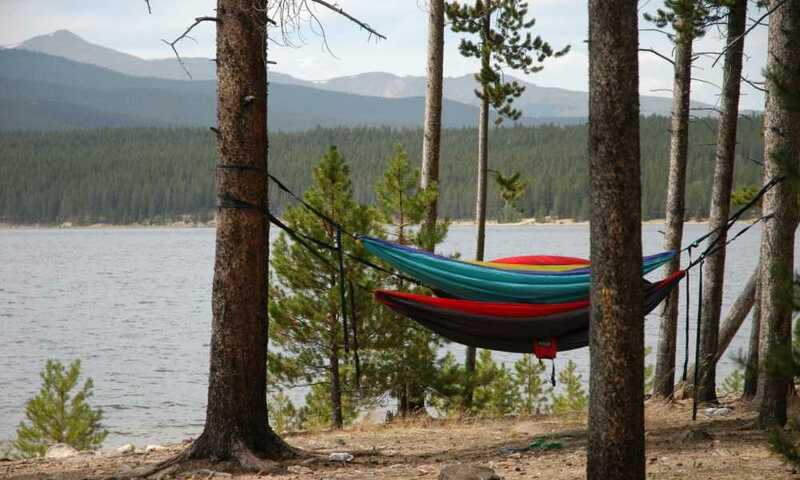 It’s compact, foldable, and great to take on your next camping. You can really hear the difference and listen to the flame burning away when you use this Reehut Ultralight Portable Backpacking Stove. Unlike some other models, it comes with a Piezo igniter that speeds up the heat. On the highest setting, it boils 1 cup of water in only a minute and a half. This little stove is durable and sturdy, being made of aluminum alloy and stainless steel. It’s built to withstand high temperatures, provide flame protection against the wind, and it won’t corrode even with a small bit of moisture. With the electronic strike fire ignitor, it also comes with an adjustable control valve to change the flame from low to high and puts out up to 3000W of heat. It’s compatible with any 7/16 thread single butane or butane-propane mixed fuel canisters. You get a carry case to protect it. In size, this ultralight backpacking stove measures 1.57”W x 2.17”D x 3.15”H and weighs only 0.6 lbs. Durable material: Made of aluminum alloy and stainless steel, stand high temperature and weight, anti-corrosion, carry with piezo ignition system. Compact and Foldable: ALL-in-1 design, easy to operate, weighs only 0.6lbs, lightweight, and come with carrying case for portability. Perfect design for ultralight camping and backpacking. Flame control: Electronic strike fire ignitor, adjustable control valve for fast maximum heat output, eco-friendly, rated speed: 3000w (gas tank is not included). Broad compatibility: Compatible with any 7/16 thread single butane/butane-propane mixed fuel canisters (EN 417). 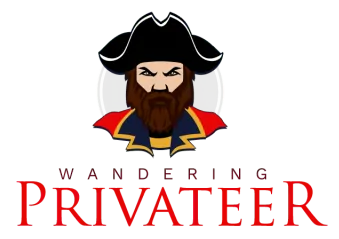 Warranty: If there is an issue with our product for any reason, we will REFUND you. We’ve compared all the key criteria for these top five best backpacking stoves of 2018: the material they’re made of, their stability, their durability, their weight, their size, and how quickly they boil quantities of water. After adding all that up, we’ve arrived at a winner. The Terra Hiker 3500W Gas Backpacking Stove is our top pick. 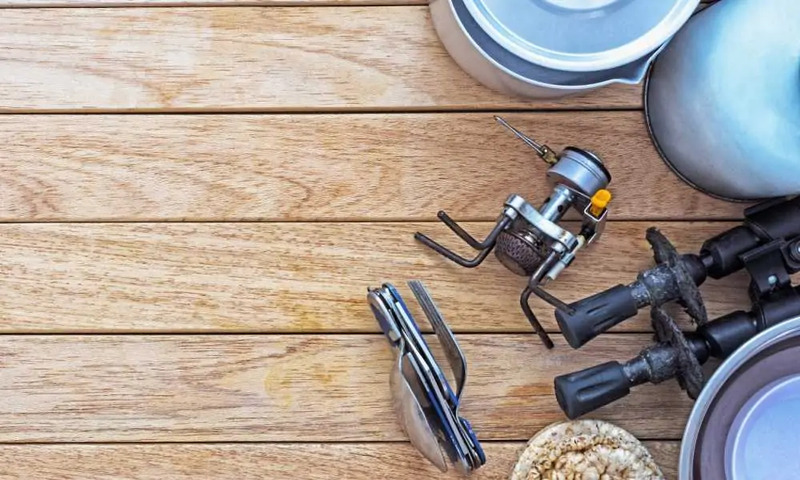 It’s durable, sturdy, doesn’t burn through fuel very fast, and is the safest outdoor camping stove since it’s kept away from its source of fuel. You can also adjust the flame without burning your hands, either. Enjoy taking the Terra Hiker out on your next trip.